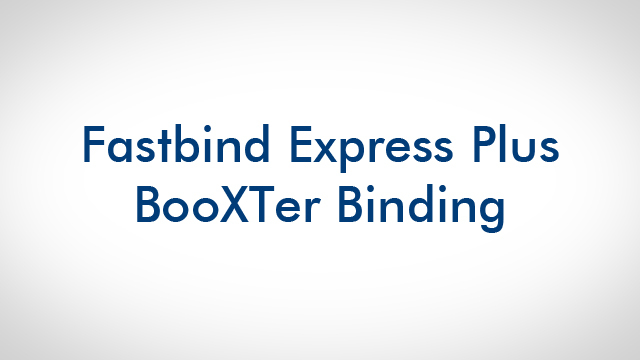 Fastbind BooXTer Duo™, Zero Mini™, Zero Max™ and Express Plus™, Express Mini™ use a unique concept of precision staple binding. Create professional quality photo books, company reports, catalogues, yearbooks and more! Professional results with a high quality finish! Fastbind has all the supplies you need! The very best supplies at competitive prices! Fastbind offers a wide rage of sizes and color to chose from! You can create premium hard cover albums on the versatile ultra compact Express Plus binding station. The process is simple: Place a pair of BooXter endpapers in front and back of your content. Staple the block using the stapling guides. Position your content in the center of the cover thanks to the powerful positioning magnets. Peel of the endpapers. Your personalised hard cover book is ready!